New York, New York—the most populous city in the United States—is known by many names, but it's most famously known as the Big Apple. The nickname "The Big Apple" originated in the 1920s in reference to the prizes (or "big apples") rewarded at the many racing courses in and around New York City, but wasn't officially adopted as the city's nickname until 1971 as the result of a successful ad campaign intended to attract tourists. 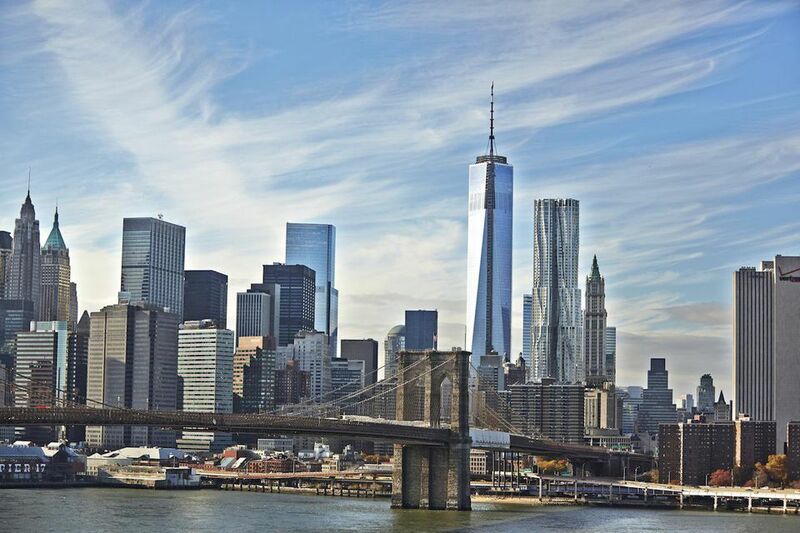 Throughout its history, the term "big apple" has always come down to simply mean the best and biggest of places to be, and New York City has long lived up to its nickname. Once you visit this seven-mile-long city, you'll truly understand why it's called the Capital of the World and the Big Apple. Although the first mention of New York City as "The Big Apple" was in the 1909 book "The Wayfarer in New York," it wasn't until John Fitzgerald began writing in the New York Morning Telegraph about the horse races in the city as "the big apples" of competitive racing in the States. "The dream of every lad that ever threw a leg over a thoroughbred and the goal of all horsemen. There's only one Big Apple. That's New York." Although the audience for Fitzgerald's articles was markedly smaller than most, the concept of "big apple" representing the best or most-sought-after of rewards or accomplishments began to popularize across the country. In the late 1920s and early 1930s, New York City's jazz musicians began referring to New York City as the "Big Apple." An old saying in show business was "There are many apples on the tree, but only one Big Apple." New York City was (and is) the premier place for jazz musicians to perform, which made it more common to refer to New York City as the Big Apple. In the late 1960s and early 1970s, New York City was quickly earning a national reputation as a dark and dangerous city, but in 1971, the city launched an ad campaign to increase tourism to New York City, which adopted the Big Apple as an officially recognized reference to New York City. The campaign featured red apples in an effort to lure visitors to New York City, where the red apples were meant to serve as a bright and cheery image of the city, in contrast to the common belief that New York City was riddled with crime and poverty. Since the conclusion of the campaign—and subsequent "rebranding" of the city—New York City has officially been nicknamed The Big Apple. In recognition of Fitzgerald, the corner of 54th and Broadway where Fitzgerald lived for 30 years was renamed "Big Apple Corner" in 1997. Why Is Asia Called 'Asia'?